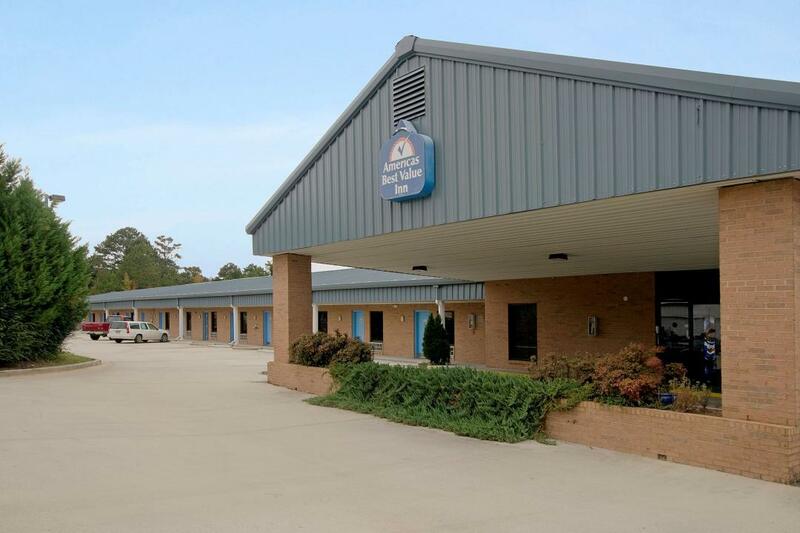 Welcome to the Americas Best Value Inn and Suites of Calera, just 35 miles south of Birmingham, Alabama. Our beautiful, single-story Inn offers all ground floor suites with living room and kitchen area. Our 30 guestrooms are nicely furnished and offer amenities including 42-inch flat screen TV's with in-room movies, Internet access, microwave, coffeemaker, sofa bed, refrigerator, and more. Pets up to 25lbs are allowed for a charge of $10 per day. Just minutes from downtown Calera, we are close to numerous attractions including the heart of Dixie Railroad Museum and the University of Montevallo. Other amenities include tour bus parking, outdoor electrical plug-ins, and complimentary morning newspaper. Restaurants at our exit include Subway, Hardee's, Little Caesar's Pizza and Asia Chinese. Come relax and enjoy the value at the Americas Best Value Inn and Suites of Calera. Little Caesar's Pizza, 0.5 mi. Bills Homestyle Cafe, 3 mi. Check out these Calera attractions during your stay. Alabama Power Complex, 13 mi. Oak Mountain Park, 15 mi. Brierfield Ironworks Park, 15 mi. Galleria Shopping Mall, 15 mi. Summit Shopping Complex, 15 mi. Downtown Birmingham, AL, 30 mi.